An exterior paint job by Monk’s Home Improvements spruced up the trim of this home. 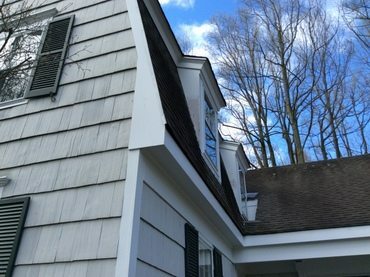 The trim of this Morristown, NJ home was in need of an update. Our team at Monk’s carefully prepped the trim for painting. Once the trim was prepped it was treated with high quality exterior paint. In only three days our team had painted all of the exterior trim on this Morristown home.